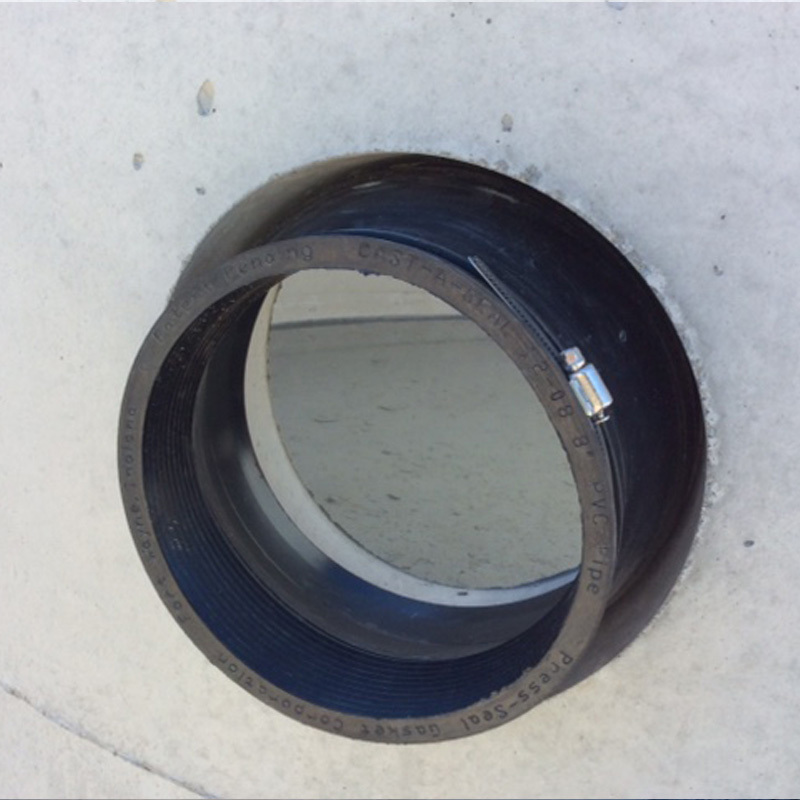 For 8" pipe only - The Cast-A-Seal 12-08 is a simple cast-in pipe- to-manhole connector that offers a watertight flexible connector that is cast into the structure when the concrete is poured. The key lock is integrally cast-in during the production process providing a secure seal for storm water and sanitary collection systems. 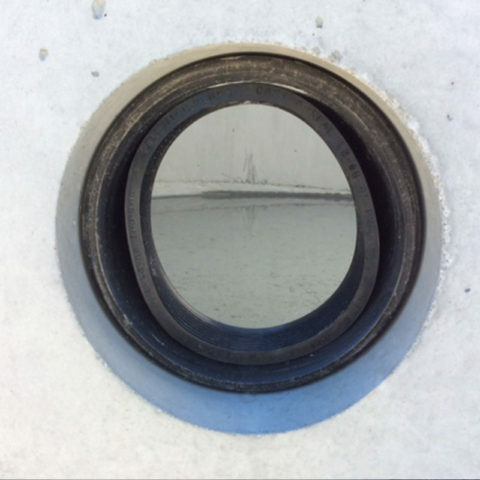 The advantages of Cast-A-Seal 12-08 are that if you are casting your hole for a standard manhole boot, it takes a step out of the manhole production process. 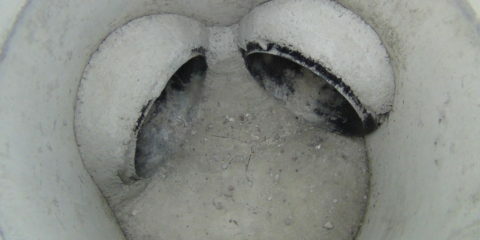 The connector is ideal for the manhole producer who is producing monolithic poured inverts. Its design allows it to be placed into the structure form work and it is cast into the concrete when it is poured, eliminating the the time and expense of forming or coring holes. 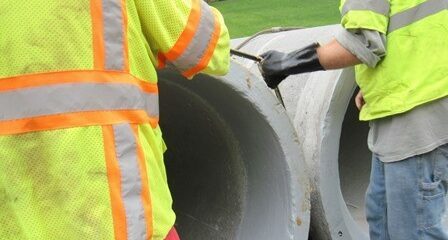 Should the Cast-A-Seal 12-08 be damaged, it can be cut out and a mechanical boot can be used to make the connection between the pipe and the manhole. The connector is folded into the casting position. It is placed on the reusable mandrel and then placed on the form. After curing, the mandrel is removed. The connector is then simply unfolded at the job site. Adapts easily to pipe size changes or if the connector gets damaged. Can be used as an outfall hole in most coring operations. 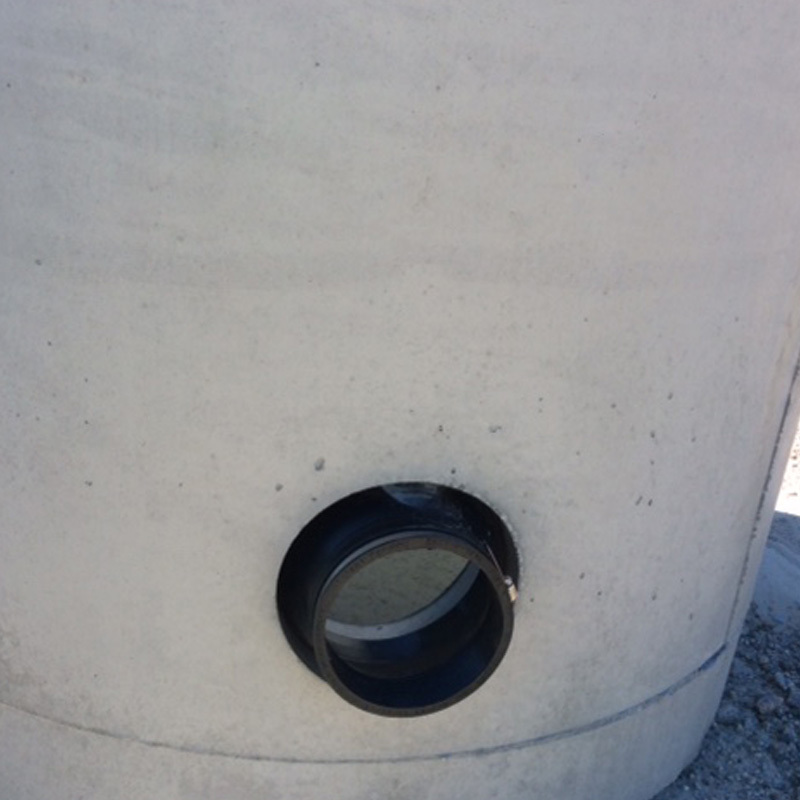 A flexible pipe-to-manhole connector shall be employed in the connection of the sanitary and storm drain sewer pipe to precast manholes or other structures. 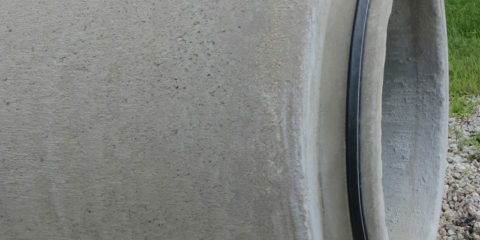 The connector shall be CAST-A-SEAL® 12-08 as manufactured by Press-Seal Corporation, Fort Wayne, Indiana, or approved equal. 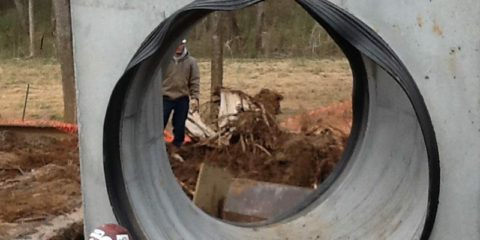 The connector shall be the sole element relied on to assure a flexible, watertight seal of the pipe to manhole. 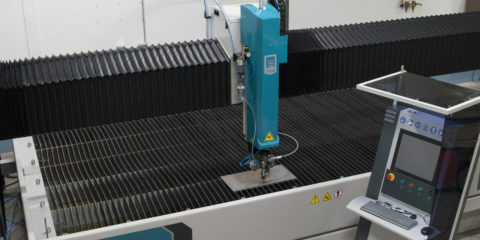 The connector shall consist of a rubber gasket and one or two external take-up clamp(s). 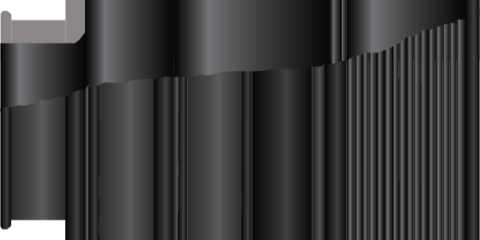 The rubber gasket element shall be constructed solely of synthetic or natural rubber, and shall meet or exceed the requirements of ASTM C923. 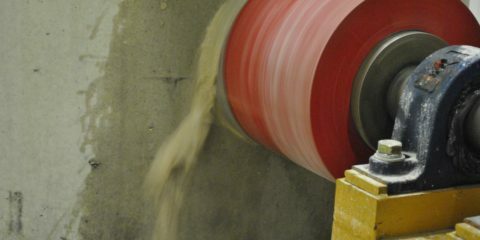 The connector casting mandrel system shall include a precisely-formed opening in the concrete for installation of a replacement connector in the event that the cast-in connector is damaged. The external take-up clamp shall be constructed of Series 300 non-magnetic stainless steel and shall utilize no welds in its construction. 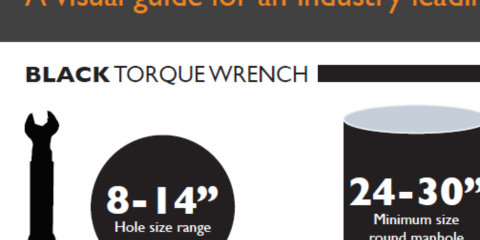 The clamp shall be installed by torquing the adjusting screw using a torque-setting wrench available from the connector manufacturer. Selection of the proper size connector for the structure and pipe requirement, and installation thereof, shall be in strict conformance with the recommendations of the connector manufacturer. And dead end pipe stubs installed in connectors shall be restrained from movement per ASTM C923. 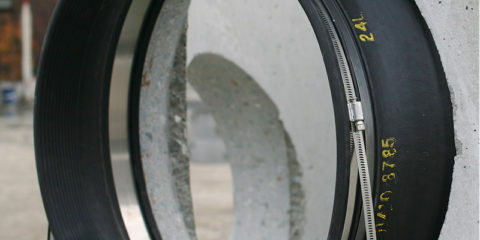 The finished connection shall provide sealing to 13 psi (minimum) and shall accommodate deflection of the pipe to 7 degrees (minimum) without loss of seal. 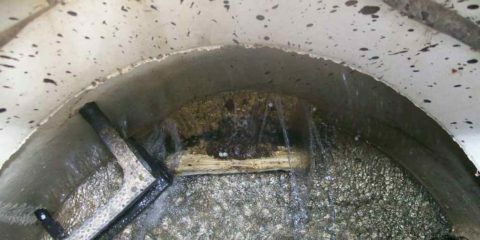 Vacuum testing shall be conducted in strict conformance with ASTM C1244 prior to back fill. Other testing shall be conducted in strict conformance with the requirements of the connector manufacturer.